How Does RAID Recovery Work? Companies and network administrators, unlike home users, often deal with huge amount of data spanning multiple disks called RAID (Redundant Array of Inexpensive Disks) and should data loss occur, entire company divisions can be affected. Here at London-DataRecovery.co.uk we specialize in RAID data recovery and can quickly diagnose problems and offer solutions in a timely, cost effective manner. Call us, we're happy to discuss any problem you may be experiencing and there is no charge or obligation for the consult. What Are The Most Common Problems Associated With RAID Data Issues? We have built our company by using technicians that are experts (collectively with over 30+ years of experience), goal oriented (they work until a problem is solved), diverse platforms (performing RAID data recovery on Windows, Mac, Linux, Solaris, BSD or other Unix variants). We also understand the importance of offering stellar customer support and solutions tailored to the client. Do you need 24 hour turnarounds? We always strive for success and (in most situations) can offer on-site repairs and timely data recovery. We understand your data is crucial to your company; we're here to deliver results, not empty promises. Because our techs are experienced, not only with RAID data recovery, but data loss in general, we "talk the talk" and are ready, willing and able to discuss any issue your experiencing, striving to transfer critical data back to your server(s) in record time. Our team of techs has established a solid working knowledge in nearly every area of IT, but they've chosen to specialize in RAID data recovery, effectively making them the "Go To" guys for these critical situations. Beyond that, they understand the stress that accompanies your situation and every member of London-DataRecovery.co.uk pledges to keep you informed during the entire recovery process. Over the years our techs have become experienced performing RAID data recovery on nearly every major system and when systems inevitably change, we upgrade our knowledgebase accordingly. There are multiple manufactures, IBM, Dell, HP, Lenovo, Fujitsu, Asus, NetApp (and others), we've worked on all of them. That's not said to inflate our egos, rather to offer assurance that we "have your back" and can discuss technical details in as much depth as necessary. We have a job to do and that is simply this.. to help recover your RAID data quickly, efficiently and cost effectively. Our company's reputation has been built on two things..
Let us prove it to you. Call our RAID recovery support number anytime from morning to midnight London time and let us help. We're sorry you may be experiencing problems, but we're here to help you solve them. While we do offer on-site repairs when necessary, we urge any IT specialist to refrain from attempting their own repairs, instead, call us first. We have a "No Data - No Cost" policy, an experienced and reliable team to call upon and perform all repairs in ISO compliant clean rooms. We guide you through every step of the way, from the first phone call we will offer our opinions / advice and quickly identify the data loss cause and the best way to restore your data. You will be informed on any updates either by email or personal phone call. 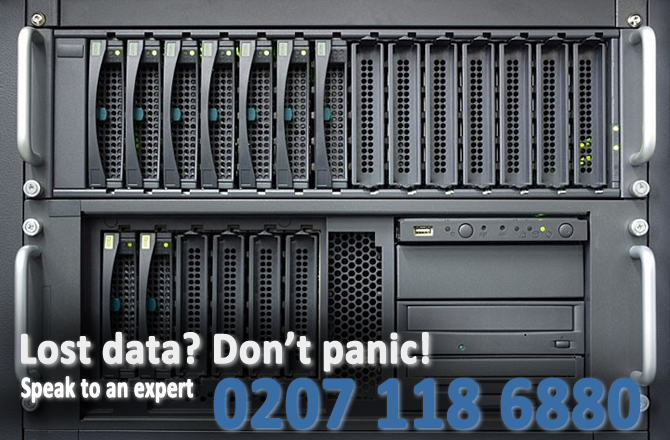 If you need professsional RAID data recovery in London, call and let us help.